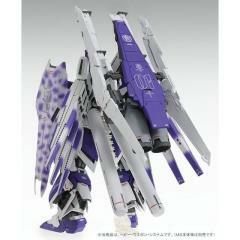 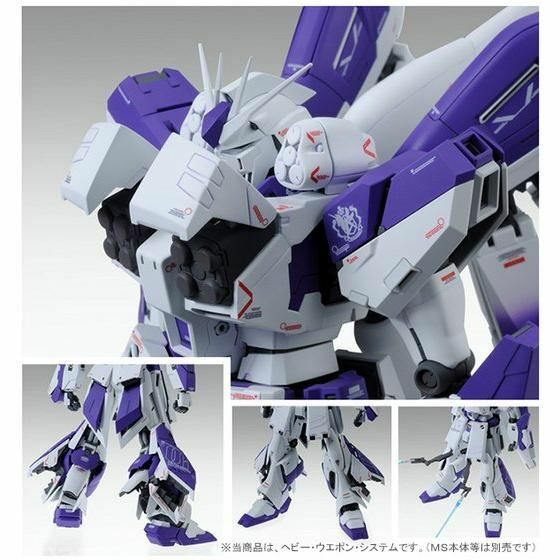 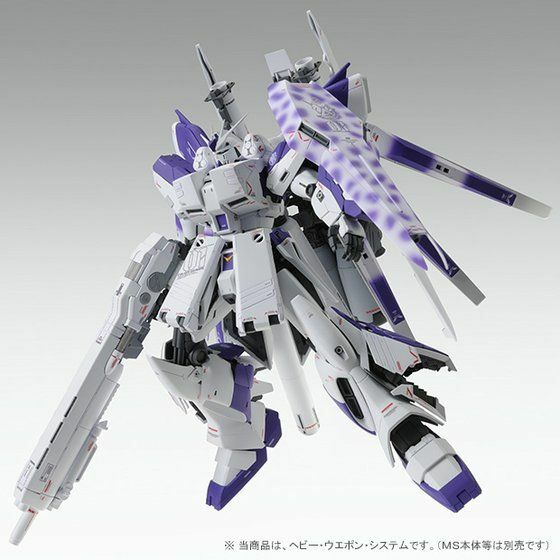 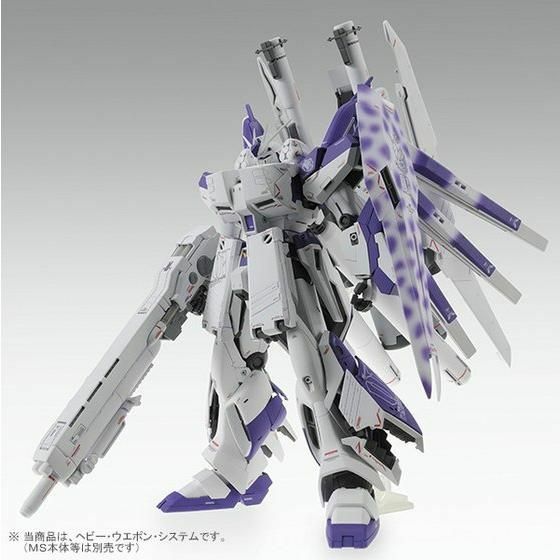 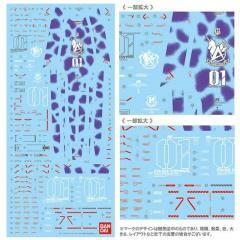 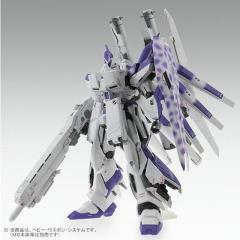 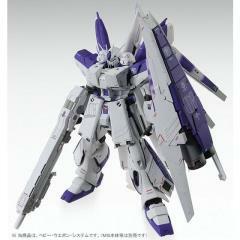 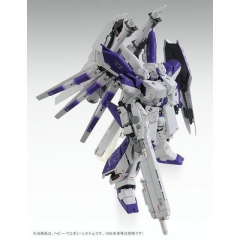 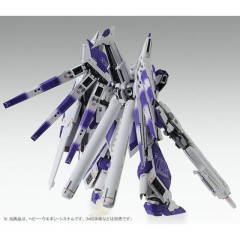 This exclusive expansion kit should be used with the Hi-Nu Gundam HWS Version Ka Exclusive Model Kit! 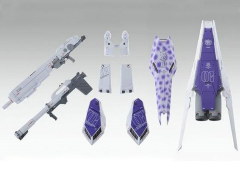 This set includes chest armor, leg armor, leg thruster unit, shoulder missile launcher, hyper mega shield, hyper mega rifle, new hyper bazooka, a shield, beam rifle, and Ver. 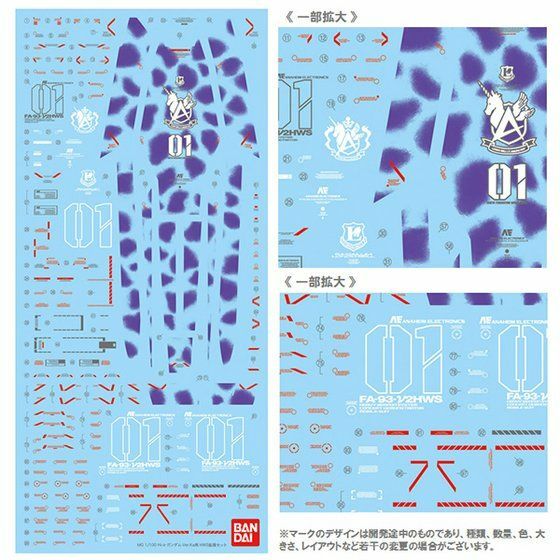 Ka water transfer decals. 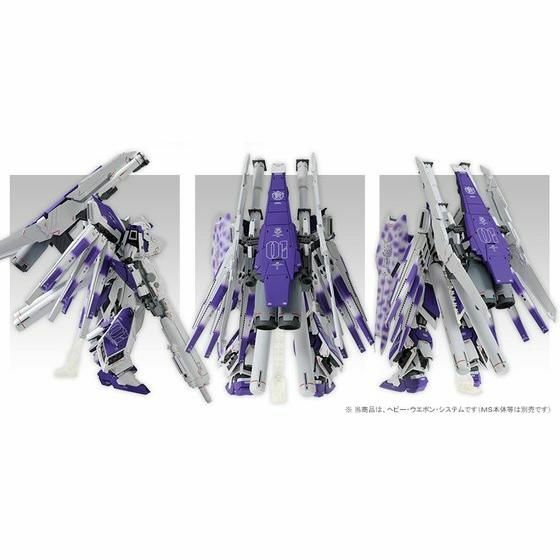 Each thruster unit is equipped with a deployment gimmick and reproduces the mechanical detail inside it visible at the time of deployment. The hyper mega shield comes in its first form that can be mounted on the outside of the arm shield, and in second form it can be attached to the back. Attach the hyper mega shield, new hyper bazooka, and hyper mega rifle to reproduce battles with other kits!